Rhone Rangers DC: Free Tickets! It’s no secret that I love America’s Rhone-style wines. So I’m thrilled that the Rhone Rangers will be visiting Washington, DC on Thursday, June 18! They’ll be visiting the Long View Gallery at 1234 9th St NW. Terroirist is able to offer FOUR TICKETS (as two pairs) to the Grand Tasting. From 7:00pm till 9:00pm, attendees will have the chance to taste more than 80 wines from Rhone Rangers member wineries. Earlier that day, from 10:30am till noon, I’ll be leading a panel discussion exploring “American Rhone Wines for Summer Sipping.” The discussion will feature a tasting of eight different wines. If you can sneak away from your desk, please join! Tickets are just $35. To have a chance to win a FREE PAIR OF TICKETS (a $130 value! ), just leave a comment naming your FAVORITE American Rhone-style wine. For an extra entry, tweet to me (@terroiristblog) and the Rhone Rangers (@RhoneRangers) with your favorite American Rhone-style wine, using the hashtag #RRDC15. The contest ends Wednesday, June 10, at midnight ET. Good luck! Three sommeliers from Michelin-Star restaurants may not seem like the most likely trio to offer practical advice about drinking affordable French wine in New York City. However, Bernie Sun, the beverage director at Jean-Georges Management; John Ragan, the wine director at Union Square Hospitality Group; and Pascaline Lepeltier, the beverage director at Rouge Tomate, recently joined Ray Isle of Food & Wine to do just that during a lively discussion at New York’s French Institute Alliance Française (FIAF). These “optional wines” are good cues that you may get a good value or something interesting. 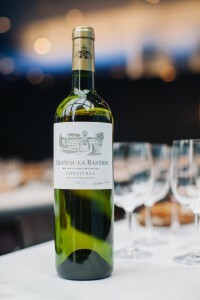 For example, we tasted a Domaine La Bastide Corbières Blanc 2011 (SRP: $15.50). It’s a wine from a lesser-known region in the Languedoc-Roussillon and grown in an area that’s dominated by red wines (almost 95%). It was fresh and balanced with notes of sweet apple and lime blossom and really nice acidity. For more on embracing the unknown at restaurants, check out David’s recent post on the topic. Don’t be afraid of the cheapest wines. These somms are tasting a lot of wine to select what will appear on their list; Bernie had tasted 75 wines earlier in the day. If a sommelier is tasting through, say 500 wines per month, many of which are in the $15 range, even the cheapest wine has been through a competitive, selective process to make the cut. It’s cliché to praise Patrick Cappiello’s wine program at Pearl & Ash in New York. But if an oenophile had carte blanche to create the restaurant of her dreams, she’d save herself a lot of time by simply replicating the Bowery hotspot. After visiting last June, I was floored. I’ve since been back twice, and the food program is as impressive as the wine program. 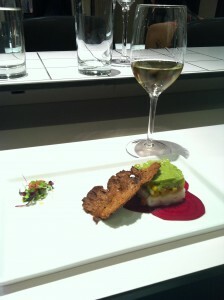 In fact, when I last dined there, I had eaten at Per Se the previous evening. 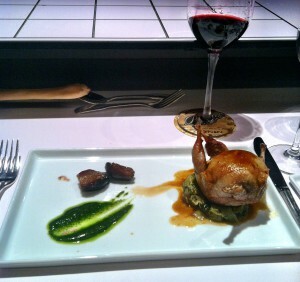 And plate for plate, the food was on par with everything I’d had at the Thomas Keller hot spot. 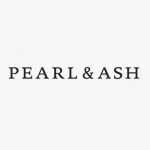 The chef at Pearl & Ash, Richard Kuo, is a superstar. And next Wednesday (June 4), he’s coming to DC to team up with Marjorie Meek-Bradley of Ripple to craft a 9-course wine dinner. Ripple is the closest thing D.C. has to Pearl & Ash. 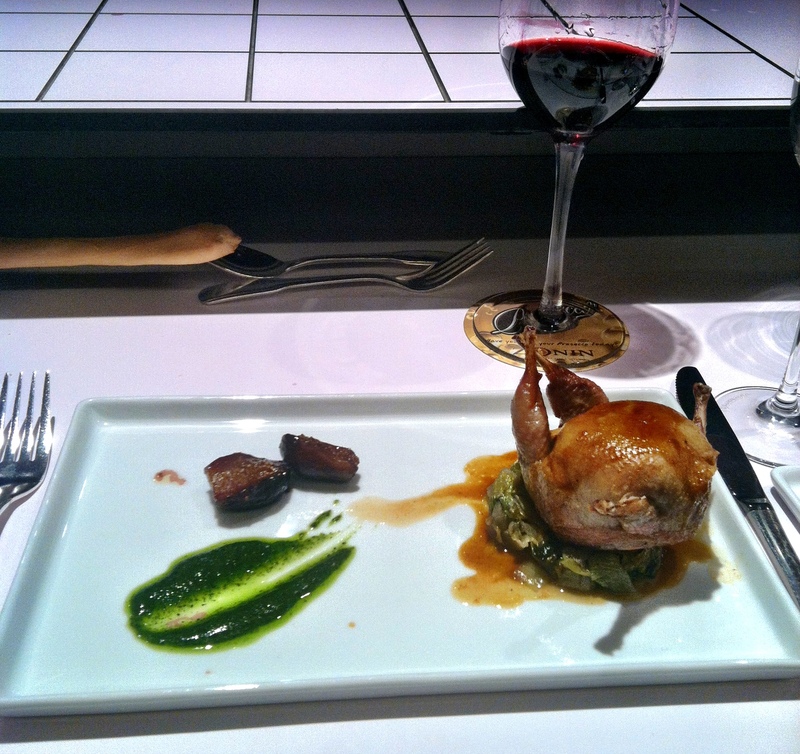 The extensive wine list is geeky yet approachable and the markups are reasonable. Like Cappiello, Ripple’s wine director, Danny Fisher, even sabers an occasional bottle of Champagne. 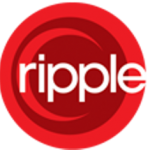 And Ripple’s chef, Marjorie Meek-Bradley, is absolutely amazing. This February, she was named a semifinalist in the James Beard Award’s “Rising Star Chef of the Year.” In mid-March, Food & Wine listed Meek-Bradley as one of just ten contenders for the mid-Atlantic’s best new chef. One week later, the Restaurant Association Metropolitan Washington nominated her for a major award. She rocks. Be sure to reserve your spot soon before all the seats fill up! 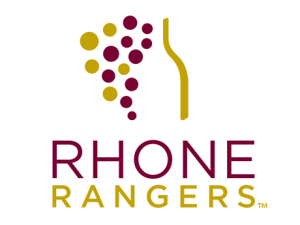 Rhone Rangers DC: Free VIP Tickets! Terroirist is able to offer TWO VIP TICKETS to the Grand Tasting. From 5:30pm till 9:00pm, attendees will have the chance to taste more than 80 wines from Rhone Rangers member wineries. A selection of appetizers will also be available. Earlier that day, from 10:30am till noon, I’ll be leading a panel discussion exploring “The State of the American Rhone Nation.” The discussion will feature a tasting of eight different wines. If you can sneak away from your desk, please join! Tickets are just $35. To have a chance to win a FREE PAIR OF VIP TICKETS (a $180 value! ), just leave a comment naming your FAVORITE American Rhone-style wine. For an extra entry, tweet to me (@terroiristblog) and the Rhone Rangers (@RhoneRangers) with your favorite American Rhone-style wine, using the hashtag #RRWADC. The contest ends Tuesday, May 27, at midnight ET. Good luck! 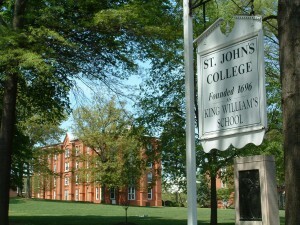 St. John’s College in Annapolis is best known for its commitment to the “great books” curriculum. But it should also be known for its impact on America’s wine industry. Warren Winiarski, who played a pivotal role in the transformation of American wine, is an alumnus. Last summer, Jon Bonné credited Winiarski for birthing “an informal St. John’s mafia” in Napa, noting that the legendary vintner hired Abe Schoener and played a huge role in convincing Alex Kongsgaard to attend the school. In 2011, The Friends of St. John’s College and Annapolis’ Bay Ridge Wine & Spirits launched a wine-centered fundraiser — In Vino Veritas — to raise scholarship money for the school. This year’s event takes place on Friday, April 25 and Saturday, April 26. On Friday night, I’ll be moderating a discussion and tasting with an all-star lineup of SJ alumni. It features Abe Schoener of The Scholium Project; Christina Turley of Turley Wine Cellars; Zach Rasmuson of Goldeneye; August Deimel of Keuka Spring Vineyards; Paul Speck of Henry of Pelham; and Rory Williams of Calder Wine Company. We’ll be exploring the concept of “honesty” in wine in seminar entitled “Transparency, Truth, and Terroir.” It should be a blast, so if you’re looking for a fun weekend in Annapolis, please join! 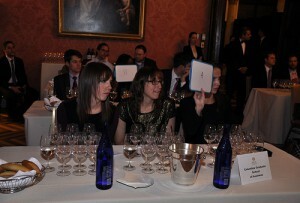 Contenders show their responses at the 2014 Left Bank Bordeaux Cup in NYC. Photo Credit: Coline Rohart, Consulate General of France. The competition pits teams of three students from top graduate schools against one another in major cities, then brings the regional winners together to vie in the Final Cup held at Château Lafite Rothschild in June. Contenders prepare for the Bordeaux battle by memorizing all things 1855 Classification, studying current events in Bordeaux, and tasting various classified and unclassified wines from the Left Bank . This year’s U.S. winners were the teams from Yale Law School and NYU Stern Business School. While the concept itself is a pompous ordeal – I participated last year and was all too aware of the pretension – an event that encourages deliberate study of a wine region and inspires a new generation to explore it deserves support. That said, I take a couple issues with the LBBC. First, the Commanderie cloaks the logic behind its scoring system. Participants have no idea how questions are weighted or how the blind tasting portion is scored. This is a problem, especially for a region that’s already viewed as cryptic and aloof. Second, graduate students rarely have the resources to purchase pricey, classified growth Bordeaux. Rumors are circulating about how teams in other countries are being heavily sponsored and showered with classified growth wines. Securing similar support has been a struggle for teams in the United States. The Yale Law School team at the 2014 Left Bank Bordeaux Cup. Photo Credit: Coline Rohart. I recently had a chance to talk to the winning team at Yale Law School, which is comprised of Laura Femino, Joseph Pomianowski, Webb Lyons, and Albert Pak. The group hopes that they can bring more awareness (and sponsorship) to the competition moving forward. In listening to them, I was surprised at how much support they’ve already received. Kudos to the group for hustling and making it happen. They were able to get a sponsorship last year from Sotheby’s Wine and they’ve retained their coach from Sotheby’s, Nicholas Jackson. Nick competed in the event a few years ago and was keen to “live vicariously through them” and help them train. Lisa Granik, a Yale alum and MW, has also been a critical mentor for the group. And finally, Mory’s, the Yale Club in New Haven, generously provided space and wine glasses for the team tastings. When I asked specifically how the team financed tastings and how much they spent on wines. They said they “try to keep tastings to between $10-20 per person, so that no one is excluded for financial reasons.” They’ll attempt to split a bottle among 20 people with 1-ounce pours if necessary, which makes tasting the expensive wines a bit more feasible. However, getting 20 people together regularly is a challenge and often they’ll end up with just 10 people and only taste three wines at a time. They work with their own limited budgets and the wine tastings that visiting Chateaux hold for students on campus. Of course, for the Yale team, the Sotheby’s sponsorship was also key to sourcing hard-to-find and finance wines, in addition to frequenting other New Haven wine shops. UPDATE (07/07/2014): Two months after posting this article, the Commanderie has since released a document, which explains how the competition is scored, to all schools participating in the LBBC. Great news. Jon Bonné Comes To NYC & DC! “Slowly, I encountered other winemakers with similar beliefs. I found people who remained committed to restrained, compelling wines that spoke clearly of their origins — and who shared my frustration with California’s modern style. These words appear in the introduction to The New California Wine, the just-released book from Jon Bonné of the San Francisco Chronicle. To say I’m excited about Jon’s book would be an understatement. The wines that fill the pages are both compelling and delicious – and all the producers he highlights deserve the attention. This weekend, wine geeks on the east coast are in for quite a treat as Jon is visiting both New York and DC. On Saturday, Jon will discuss his book with Abe Schoener at Red Hook Winery in Brooklyn. Buy tickets here. I’ll be at this event – so if you go, come say hello! That evening, Jon will visit Terroir in Murray Hill to discuss his book with superstar Paul Grieco. While the event is sold out, the waitlist is open. On Sunday, Jon will visit Washington, DC! 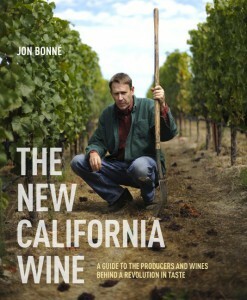 Together with Cordial Wine at Union Market, Jon will discuss his book with Dave McIntyre of the Washington Post. Just a few tickets are left, so get on it! 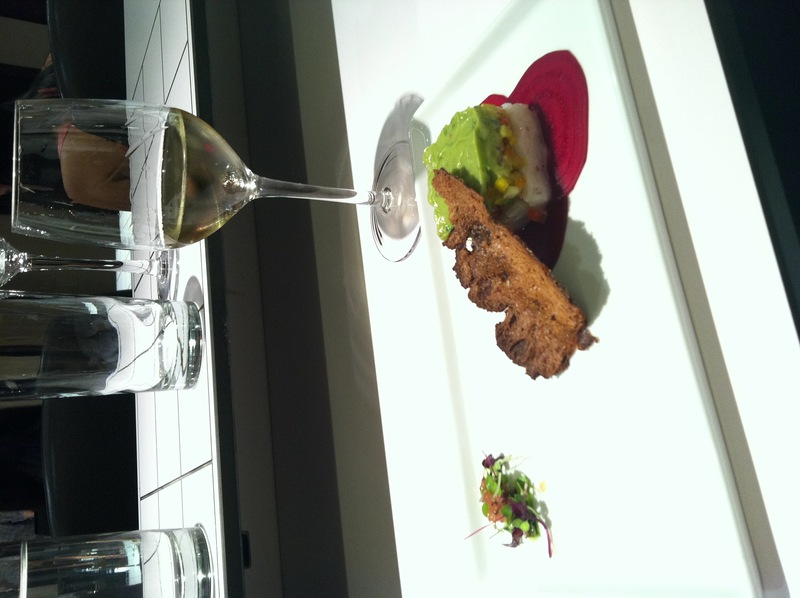 That evening, Jon is hosting an intimate wine dinner at Plume, one of DC’s top restaurants. To snag a seat, call 202-448-2300. Not many causes are as unequivocally good as the American Heart Association. Combine this great organization with the generosity of wine producers, wine lovers, and numerous other partners in the DC community, and you have Heart’s Delight, a five-day, wine-centric fundraiser in the nation’s capital. This event, which started in 1999, raised a net $985,000 this year and aims to hit $1 million by the end of June. All funds go directly to the American Heart Association. A few Terroirists, including David, Scott, Winn, and me, had the opportunity to attend several of the functions this year and they were really special with exquisite wine, delicious food, and enthusiastic participants. If you haven’t had a chance to get involved in Heart’s Delight before, I highly encourage you to do so. 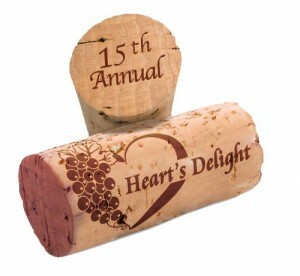 More information can be found on the Heart’s Delight website and Facebook page.